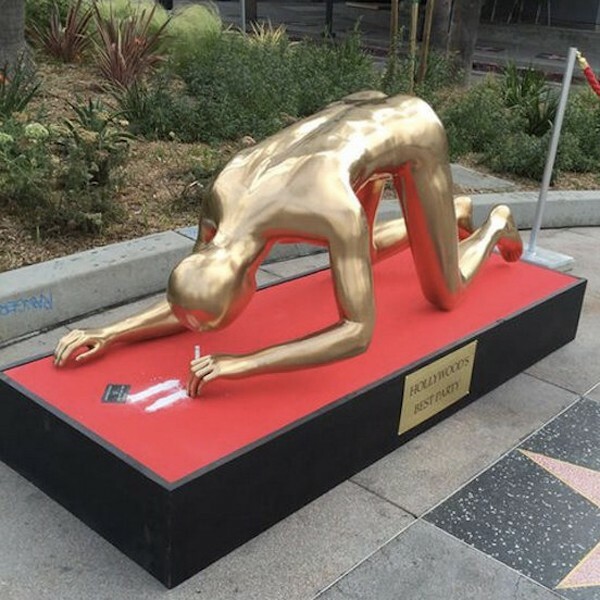 A life size replica of the Oscar trophy sniffing cocaine has appeared on Hollywood Boulevard, Los Angeles. The hard partying statuette is the work of local urban street artist Plastic Jesus. It has been placed next to where the Academy Awards will be held on Sunday. The art piece is a commentary on Hollywood culture, according to Nick Stern a photographer who works with Plastic Jesus.